This summer has been a busy one! I hope you had lots of fun and got a chance to relax! We relocated to Greenfield, MA, and it’s been awesome so far! I love being within walking distance to my art studio downtown! There’s a lot of artsy stuff happening in the area, so we feel right at home. Hoping to get you up to speed with what events I have coming up, and I hope to see you in the coming months! Artist Reception: Sunday, August 27! 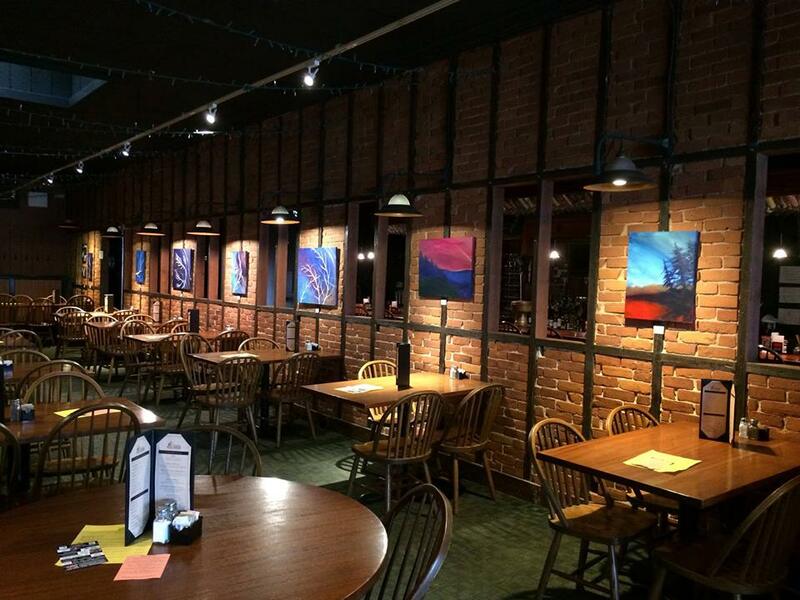 Stop in the Ale House for a pint, some delicious food, and check out the art! My paintings will be on display for the month of August. Reception coming up Sunday the 27th from 3-5pm, come say hi! Visit gardnerale.com for more details. So excited to be back again this year! 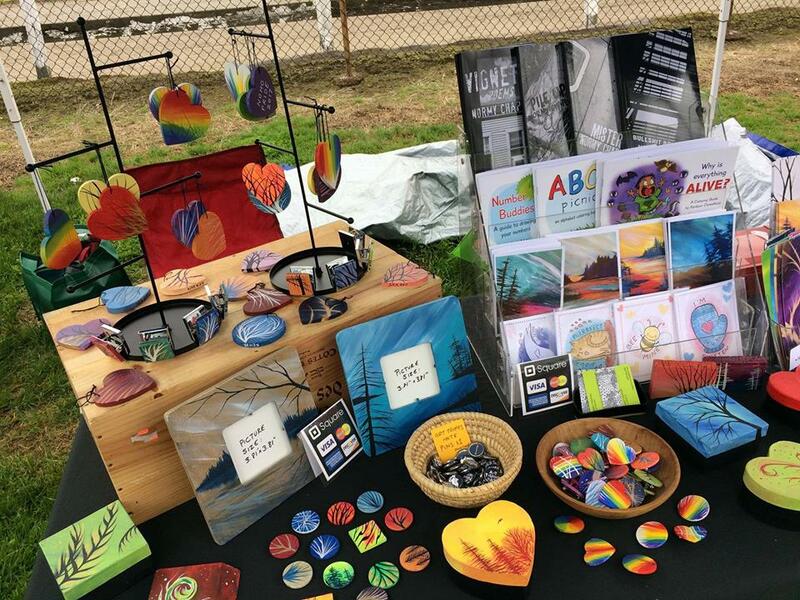 Come out to one of the best art festivals in central MA! I’ll be sharing a booth with the talented Sarah Margaret Frye! Hope to see you there! I’m happy to be a featured artist in September at Hillside Village’s Information Office in downtown Keene! 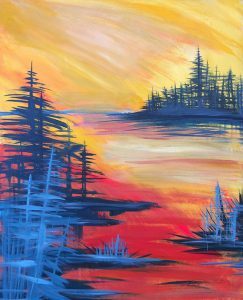 They have a beautiful office space – excited to display art in southern New Hampshire! Visit hillsidevillagekeene.org for more info. I’m delighted to return to the Burnett again! I’ll be hosting a solo exhibition of my newest soft landscapes and foreboding forests. Work will be on display through the month of November, with a reception on Thursday the 2nd, during Amherst Arts Night Plus. The gallery is located on the second floor of the Jones Library in beautiful downtown Amherst. Make it part of your western MA explorations this fall! I’ve applied to a few more shows for this fall and winter, so stay tuned! Hope to have more events coming up! Visit joneslibrary.org/burnett to read more. Coloring & Activity Books: 2nd Editions! I’ve got freshly printed books to sell! 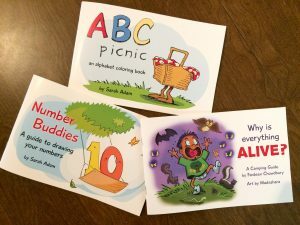 Updated versions of ABC Picnic, Number Buddies, and Why is everything ALIVE? are available for sale online, and at any of my shows! Need a coloring book, a portrait, or a logo for your new business? I’m here to help! Now accepting commissions for illustrations, graphic design, drawings, paintings, crafty projects, even a little photography (not a professional at photos, but I can point you in the right direction!) I specialize in whimsical/kids/cartoony illustration, utilizing ink, watercolor, acrylic, and digital media. Send me a message if you need anything! Have you visited Women Who Draw yet? 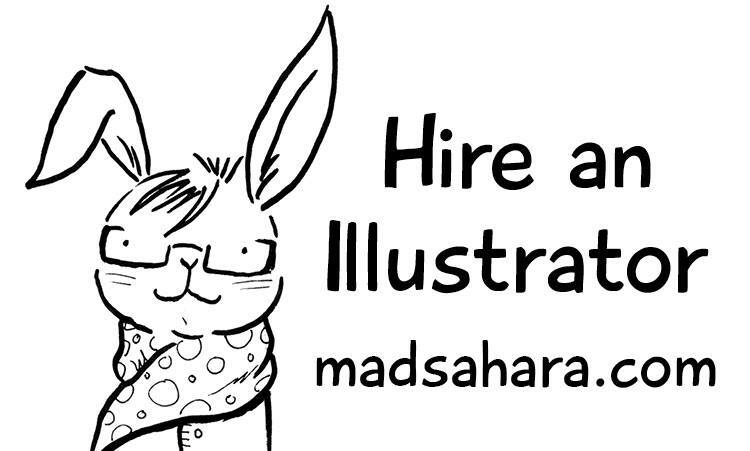 It’s an open directory of female professional illustrators, artists and cartoonists. 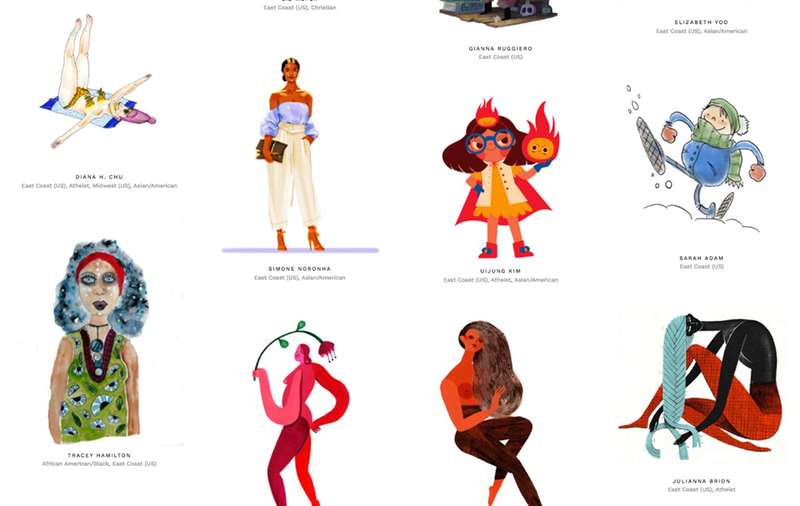 It was created by two women artists in an effort to increase the visibility of female illustrators, emphasizing female illustrators of color, LBTQ+, (trans inclusive!) and other minority groups of female illustrators. I’m so excited to be part of this amazing site! Coming soon: a brand new portfolio website! In the meantime, visit my many portfolio projects on Bechance. Visit me on Facebook & Instagram to stay informed and get sneak peeks on works in progress!